With Mothers Day coming up fast, why not send a little something different in the post this year? 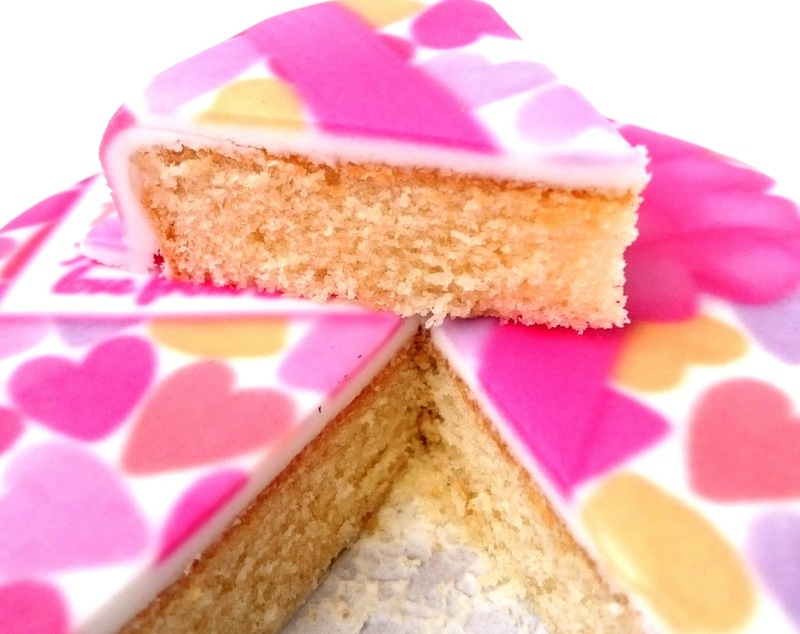 Lets face it, with technology taking over our lives we all get a little bit excited by snail mail, so imagine making someone's day by sending them cake! 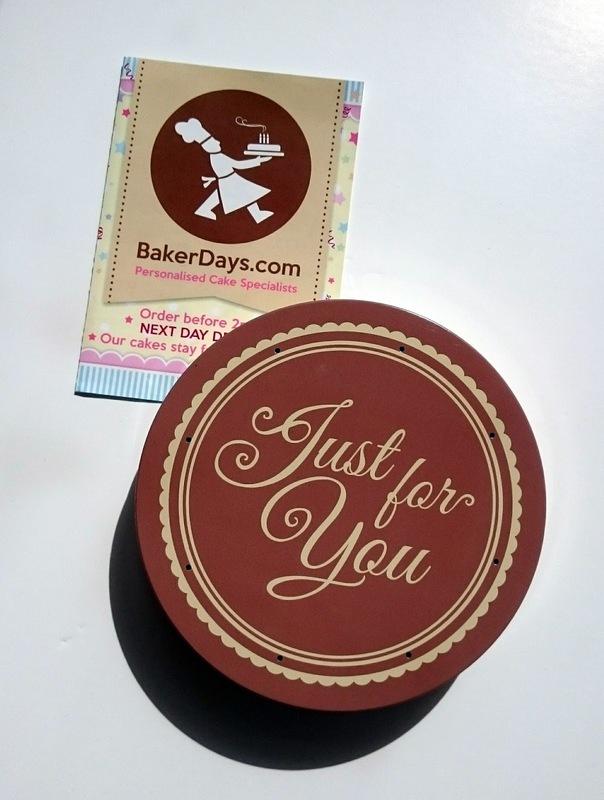 Baker Days are a company that send cake by mail, for the perfect gift to cheer anyone up. When they asked if I wanted to review a cake for Mothers Day, I was over the moon as I knew it would be something my mum would adore. A little box arrived in the mail and when I opened it, I was really surprised at just how well packaged the cake was. It came in a gorgeous round tin with 'Just for you' on the top, a little pack of balloons and candles and a lovely card. I thought the balloons and candle were a lovely thought as it's something that's so easily forgotten. 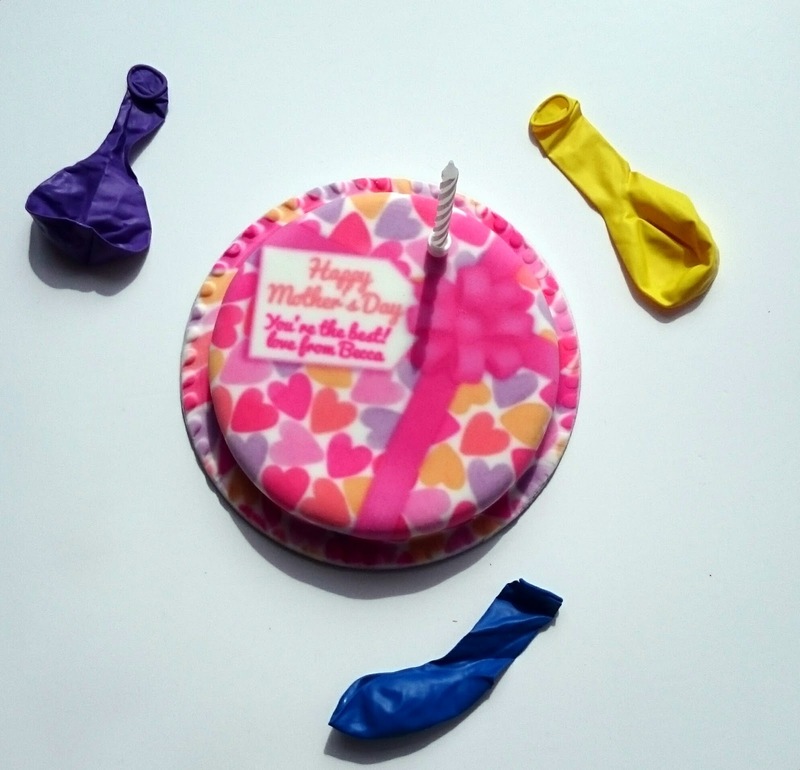 Initial impressions of the cake were good, it's pretty, colourful and I love the fact they can be personalised. I personally would love to open up an unexpected parcel and find it's a gorgeous cake! I opted for a vanilla sponge with buttercream. Baker Days handmake all their cakes and use only the best ingredients, for example they only use real butter in the buttercream - no substitutes here! Despite the fact they are sent by post and stay good to eat for up to 14 days as long as they are stored in a cool and dry place, the sponge was moist and fluffy and the buttercream was soft, sweet and dreamy. So why don't you make that special lady in your life happy this Mothers Day and surprise her with something unexpected? It's tastier than flowers and it's perfect if you can't be there to share the day. You can find out all about Baker Days on their website as they offer so much more than just cakes by post and with prices starting at £14.99 it might be the gift you've been looking for! 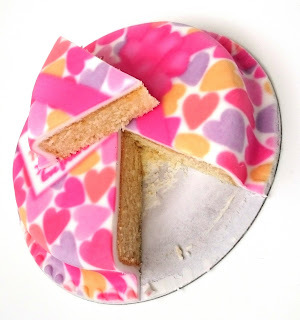 Would you like to receive cake by post? *post contains PR samples. As always, opinions are 100% my own. that is just a ridiculously cute concept!! How awesome! I've always wanted to try one of their cakes, but living in Spain, the shipping costs make it way too pricey. But it does seem like a great gift! I'm sure your mom will love it!